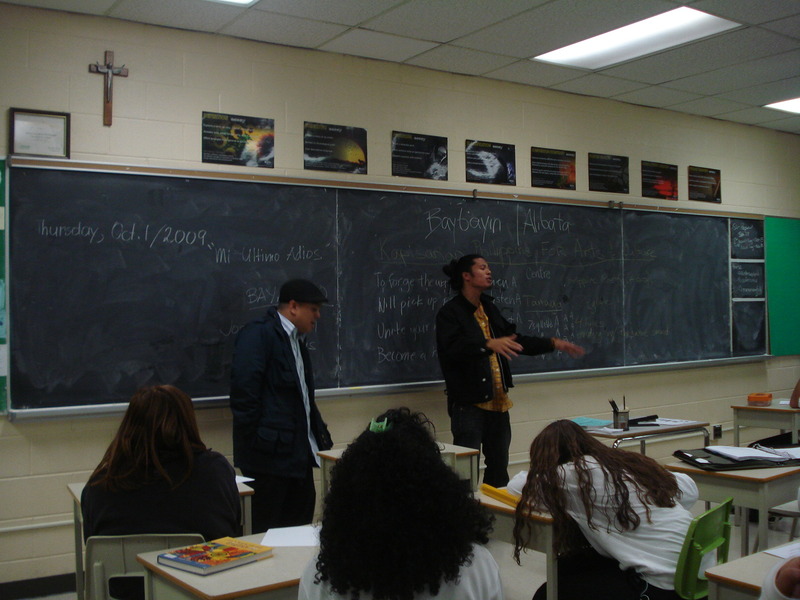 by Christine Balmes Thursday morning, October 1, found members of the PSL squad westside at Finch and Keele's James Cardinal McGuigan Catholic Secondary School speaking to and performing for a grade 10 English class about the history of Philippine poetry. Myk Miranda introduced the group, describing KAPISANAN and the work we do here, the fact that we use art and culture for personal expression. Then he called on me to talk about the first topic: Tanagas. As I stood up there and watched by the silent faces of teenagers, it was difficult not to go into teacher mode. A tanaga is like a haiku; a short poem with a specific syllabic pattern. Four lines, seven syllables each. The only thing is that there is a rhyming pattern at the end. AAAA, or ABBA, or AABB. "Why do we have to learn about Philippine poetry?" A student at the back of the room complained. Myk walked to the front and said, "You might be wondering why we have to learn this. We all need to express ourselves in one way or another. Poetry is one way to do it." "You might like to sing, to draw, to rap, or to paint," Bea chimed in. "Or you might like sports," said Philip. "Either way, this is just about expression. How do you express yourself to other in order to communicate," Myk finished. Haniely Pableo went up and talked about other Philippine poems, reciting "Bayan Ko" by Jose Corazon de Jesus from memory while Bea Palanca and I translated. A couple of students were mouthing the words, translating along, and it was wonderful to be able to share this experience with them, remembering familiar words and making it visible to themselves and their peers. 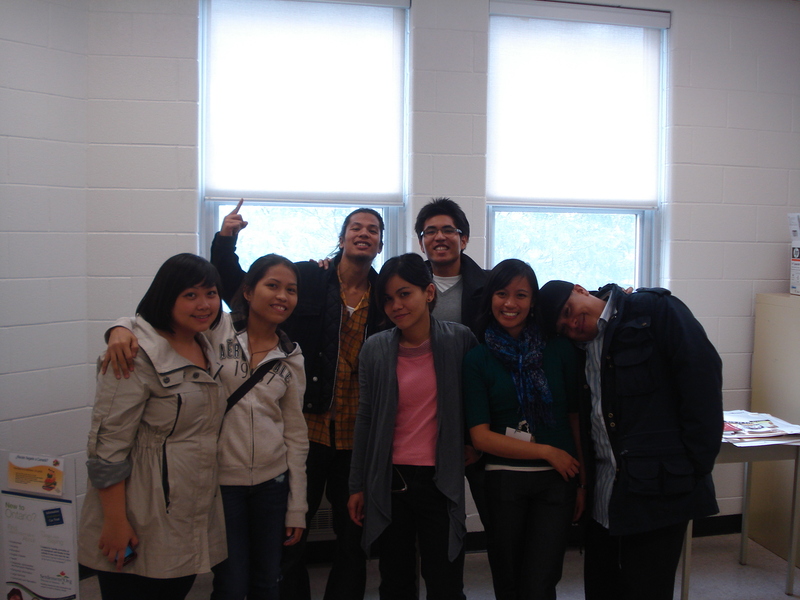 Marc Alonzo recited a heartfelt poem he wrote in Filipino, speaking about pride and love for self. 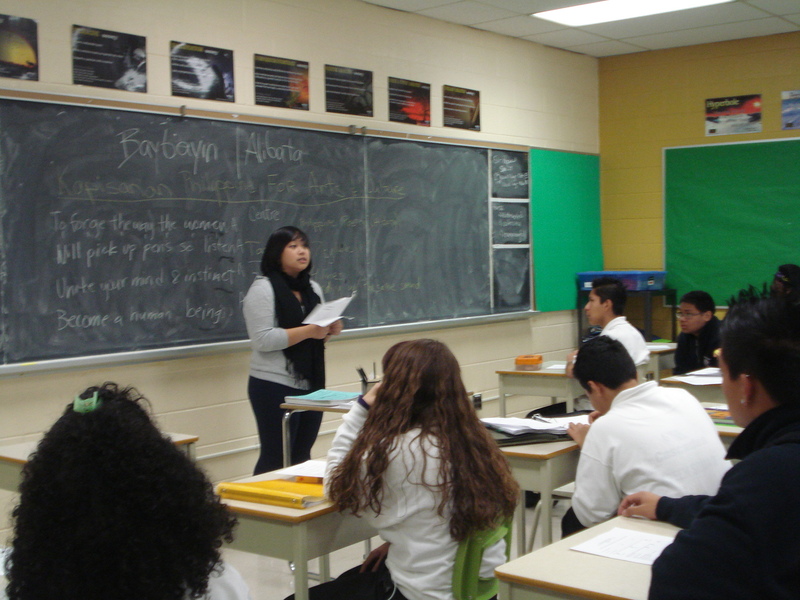 Haniely also shared a personal poem about an absent parent, opening eyes and thickening the air with emotion. It was interesting to watch the faces of the youth there. Here they were, in the middle of English class with a substitute teacher and instead of having to work they were getting a live performance instead. They were enraptured, their full attention turned to us. At the end of the day, that's probably the most important indicator that you weren't a bore. Philip Mineque then picked up the pace with a quick rap, dazzling the students with his lightning tongue. Bea Palanca also read a piece she wrote about Typhoon Ondoy, flowing confidently between English, French and Filipino languages. The final rap was wicked to watch: Myk freestyling as Philip beatboxed. It was entertaining for me, but did the students feel the same? As the bell rang, the students languidly packed up, taking their time to leave. But as he turned to go, the young man who had complained earlier turned to Jennilee Austria, the community worker and PSL attendee who was responsible for us being there. He said, "They'll be here again, right?" We left them a flyer for the PSL show happening tonight at KAPISANAN, our contact info, and hopefully an English lesson they will never forget. As Bea said, "I think I speak for the whole group when I say we also had fun doing this. Should we get another chance, more of us should participate." I agree wholeheartedly!